By railroadlawyer in Railroad Crossing Accidents on October 28, 2015 . A 16 year-old boy was hit by a train in NW Houston TX last Friday and was pronounced dead at the scene. Police reported that the young man was hit at 8:45 am near West 34th Street and TC Jester in Houston. His body was thrown under a trestle on the bridge that crosses the street White Oak Bayou. Police added that the student was walking on the tracks with a friend. The other boy ran off the tracks when he saw the train approaching but the other did not seem to hear or understand how close the train was. When a train goes through a crossing in Texas, the protocol is for the train crew to sound two longer whistles, a short whistle and then another long one as the train goes through the crossing. In an emergency, the crew is supposed to sound the whistle at a different cadence to warn people off the tracks. Some have questioned if there was a delay when the whistle was sounded, and the incident is being investigated by the Federal Railroad Administration. Our rail accident legal firm in Virginia has seen many train accidents involving both pedestrians and vehicles. In some cases, the train operator fails to provide sufficient warning to the car or pedestrian and serious injury can result. 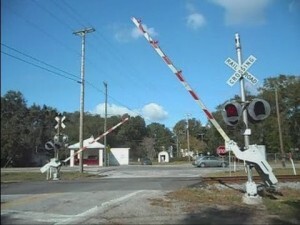 In other cases, we have seen instances where the driver’s or pedestrian’s view is obstructed by vegetation at a railroad crossing, leading to a serious accident. Anyone who has a loved one injured or killed on train tracks should ensure that the railroad company was adhering to all regulations at the time of the accident. Negligence on their part can lead to devastating consequences.